Get into the spirit this weekend as the holiday season gets underway! The DMV has a variety of events Thanksgiving weekend! Most, if not all, will show you why November is never too early for some Christmas spirit. Take a train ride across the U.S. with the "plant-based recreations of iconic train stations." From New York's and the Districts' Union Station to a collection of D.C. landmarks, the garden will give visitors a botanical view of America's railroad history. The Conservatory is open daily but on select Tuesday and Thursday evenings will stay open until 8 p.m. Season's Greenings is free of charge and runs until Jan. 1. Photography is welcomed and encouraged. Enjoy horse-drawn carriages, photo opportunities with Santa and Mrs. Claus, musicians, Macy's-style balloons and more! The parade is jam packed with events including mini train rides, sing-alongs and a tree lighting ceremony at 6 p.m.
Before the parade begins, children can receive jingle bells along Market Street and in Fountain Square. Proceeds for the photos and rides will benefit local charities. Use your Black Friday dollars to support local artists! Celebrating its 14th year, the outdoor shopping event is filled with local vendors and artisan crafts. From jewelry, pottery and paintings, you're sure to find that special gift for that special someone. The market runs daily through Sunday, Dec. 23. 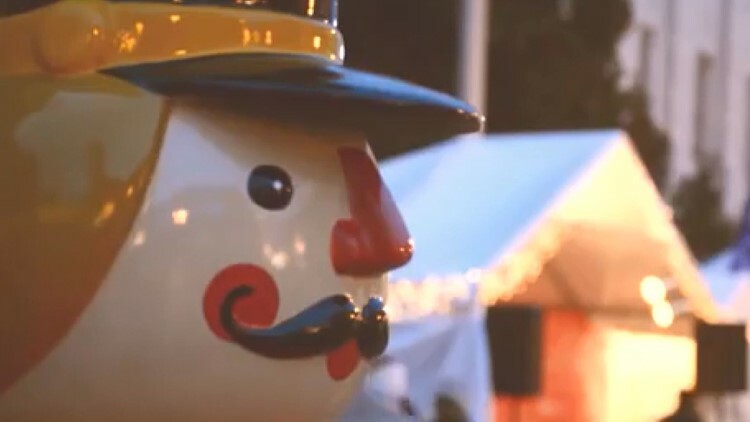 Downtown Holiday Market has consistently been ranked among America's best holiday markets. When: 5 p.m. to 9 p.m. This annual holiday is a free event which transforms the Smithsonian's National Zoo into a winter wonderland complete with "two dazzling laser light shows." There are a ton of different events and attractions that are fun for all ages. The light show brings thousands of visitors each year and you should be one of them! Please note that Zoolights does not feature any animals. All indoor exhibits will be closed. The event is open daily until Jan. 1 but will be closed Christmas Eve, Christmas day and New Years Eve. Get into the Christmas spirit with an official lighting ceremony and a music performance by The Washington Chorus. The family-friendly event features a variety of activities including face painters, ballon artists and more. Don't forget to bundle up and RSVP!